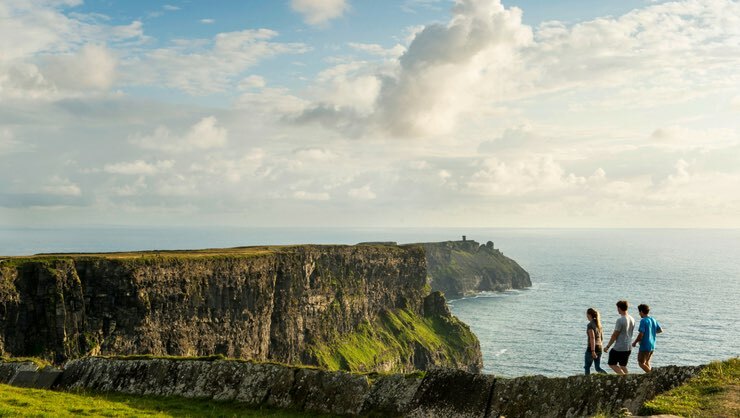 Whether you like to spend your time discussing politics and history, reading literature and poetry, hiking, or watching sports, Ireland has something for you! With a rich and complex past, beautiful cities and breathtaking countryside, an experience in the Emerald Isle will stick with you forever. Here are seven ways to make sure it does! Ireland offers plenty of opportunity for outdoor activities like hiking at Glendalough, fishing at Lough Sheelin, camping under the stars, or just photoshooting! The Emerald Isle is surrounded by low-lying mountains around the coastline with a great central plain in the center, and rivers throughout. The mild and changeable climate, free from extremes in temperature, lead to the lush green landscape that you've certainly seen on #nofilter Instagram. 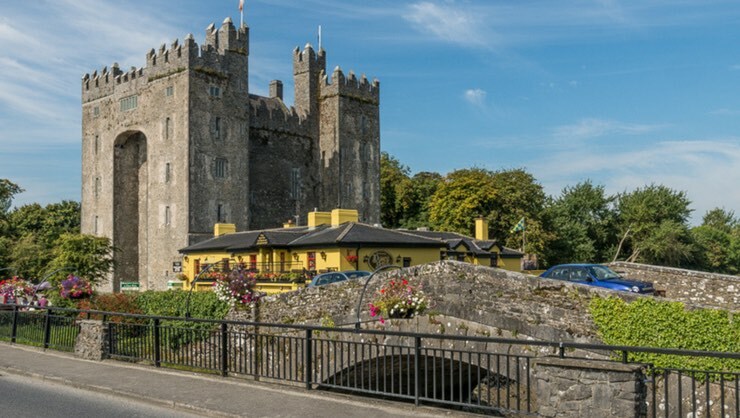 Whether you're used to brutal winters in Minnesota or the unbearably hot summers of the South, you'll find something middle-of-the-road when you get to Ireland. The island's climate is considered moderate and oceanic. That means, despite its northern location, winters are mellow and summers are cool. You already know that Ireland is gorgeous. To add icing to the cake, it is also home to three World Heritage Sites: Brú na Bóinne, Skellig Michael and the Giant's Causeway. Cliffs of Moher is a filming location for lots of movies! Cliffs of Moher - The Princess Bride and Harry Potter and the Half-Blood Prince were filmed here! 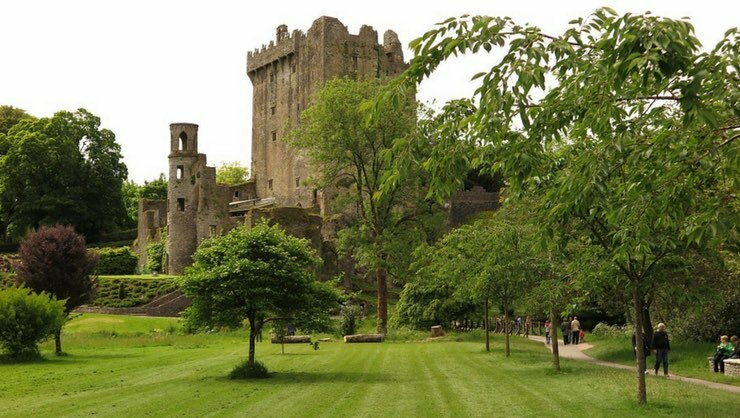 Blarney Castle - 15th-century medieval stronghold and home to the Blarney Stone - pucker up! Want to stay "local"? Upon your arrival, you'll no doubt realize that Dublin is the buzzing hub of tourism in Ireland. There, you can visit the famous Guinness Storehouse and have a brew with new mates or take some time to view the Book of Kells, an illuminated manuscript containing books of the Bible. You can see it on view at Trinity College Dublin. 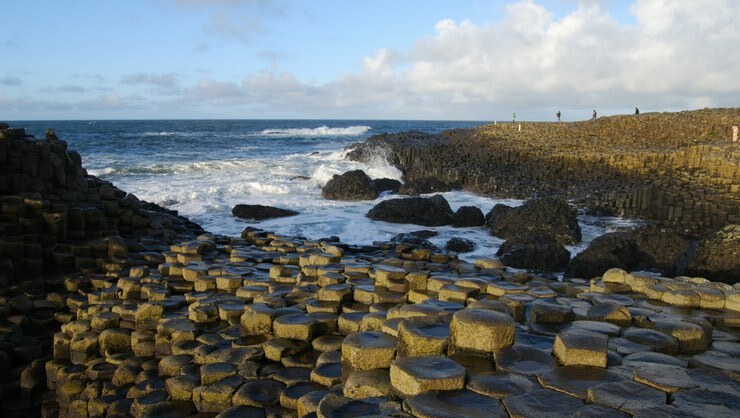 Evidence of humans living in Ireland goes back to 10,500 BC. What a lifetime! Since then, the country has been involved and affected by innumerable political upheavals and restructurings, giving it a rich and fascinating history. Be sure to read up on it before you go so you can take it all in once you get there. Living in America, you've surely heard people claim Irish ancestry – perhaps even yourself! Nineteenth century emigration from Ireland led to an extensive diaspora throughout England, the U.S., Canada and Australia today. In the United States alone, over 35 million people claim to have Irish ancestors. One of the most enjoyable things about traveling abroad is seeing the flora and fauna that differ from that at home. 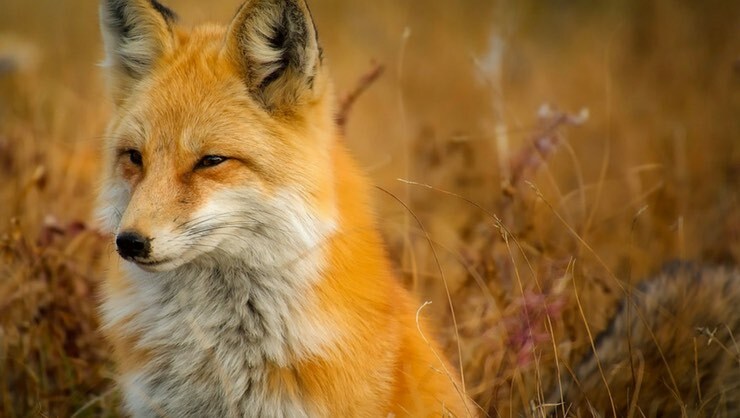 Twenty-six surviving mammal species are native to the island, such as the red fox, European hedgehog, otter and badger. It's not NFL. It's not soccer. It's Gaelic football and it's the most popular sport in Ireland when considering game attendance and community involvement. Much like the Super Bowl, the All-Ireland Football Final in September is the most watched sporting event throughout the year. Other engaging and heart-pumping sports include hurling, soccer, and rugby. If you're not into team sports, you can head up the west coast of Ireland and get in some great Atlantic Ocean surfing! Interestingly enough, some of the best surfing is in the wintertime, so don't forget to wear a wetsuit. 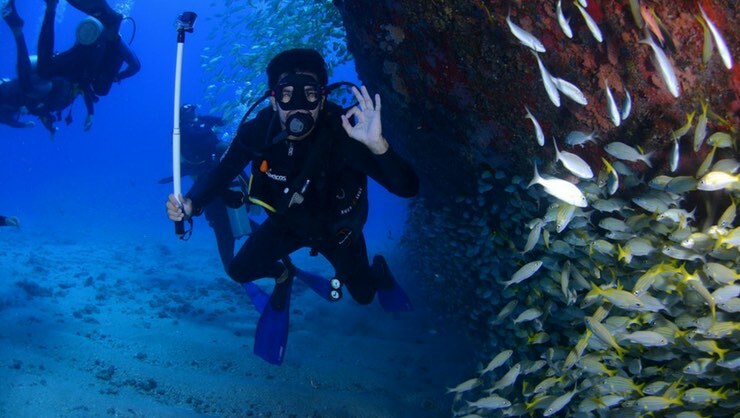 It may not be the first sport to come to mind, but Ireland is also a destination for scuba divers, thanks to its clear waters and abundant sea life. If you're into wreck dives, you're in luck because there are plenty to be seen in Malin Head and off the coast of County Cork. Looking for some solitude? If going fishing is one of your favorite ways to chill out, you'll be excited to know that fishing is huge in Ireland. Salmon and trout are quite popular and sea angling is available off the coastlines. Reading is great not only for relaxation, it's also an excellent way to soak up local and historical culture. During the 20th century, four Irish natives won Nobel Prizes for Literature (George Bernard Shaw, William Butler Yeats, Samuel Beckett and Seamus Heaney). Perhaps you've heard of James Joyce, author of Ulysses - also Irish! In fact, his life is celebrated in Dublin every year on June 16, also called "Bloomsday." Check out the Mountains to Sea literary festival in Dún Laoghaire or Cúirt International Festival of Literature in Galway, to find like-minded bookworms and friends. 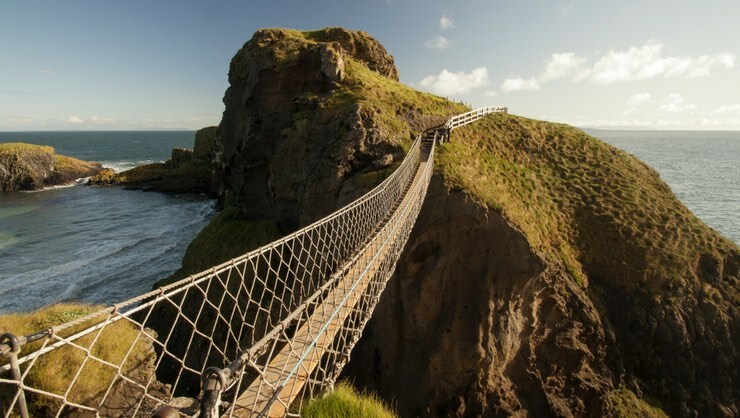 Did you know that Ireland has a program for U.S. citizens to visit the country and work? 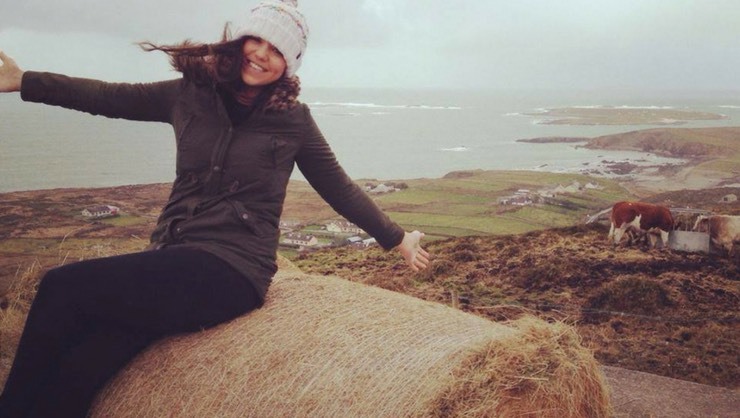 If you're looking to stay a little longer than a tourist would, check out the Work and Travel Ireland program! 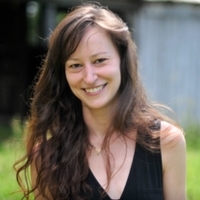 It allows you to stay and take on short-term and seasonal jobs to fund your living expenses and travel. You choose where you live, travel, and work, and we'll provide you with job search and logitical support throughout your program. 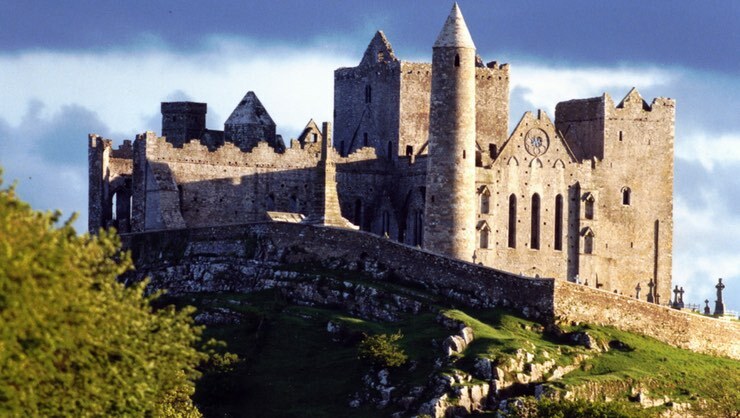 Maximize your trip to Ireland! Since Work & Travel Ireland gives you up to a year to travel and work, you'll have plenty of time to check off the items above. If you have your own Ireland highlights and suggestions, we'd love to hear them!